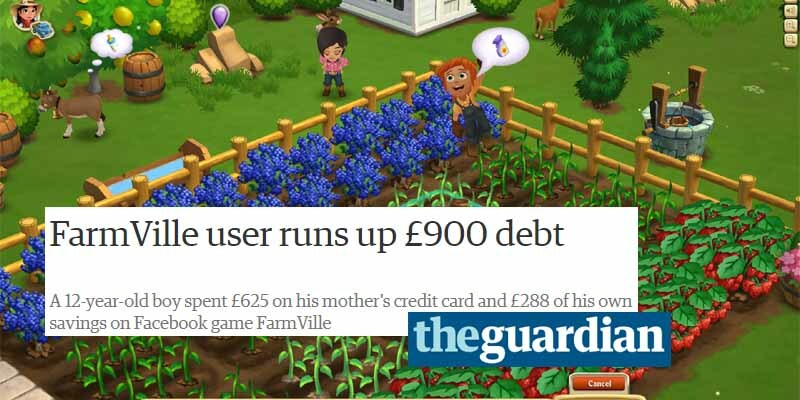 After and unnamed 12-year old boy racked up a £288 ($388) bill playing Farmville on his own credit card, he snagged his mother’s and racked up another £625 ($843) in virtual farm accessories. He knew exactly what he was doing, and when asked why spent so much money on a video game, he simply explained that there was good stuff that he wanted. The mother was unable to get a refund because that would require filing a police report, which would get her son cautioned, leaving him with criminal record.